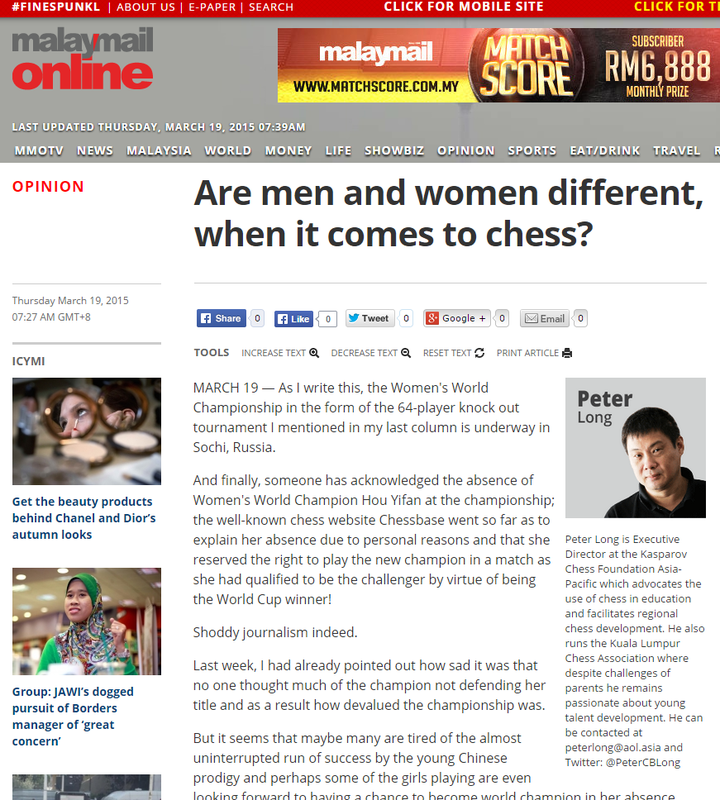 Malay Mail Online: Are Men And Women Different, When It Comes To Chess? 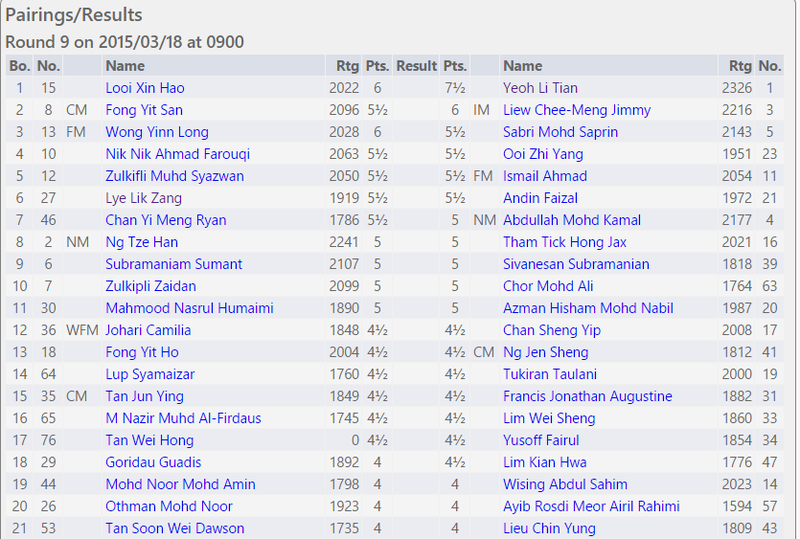 So easy for our top seeded best player who is also the current Malaysian Masters champion and earning significant rating points in the process! 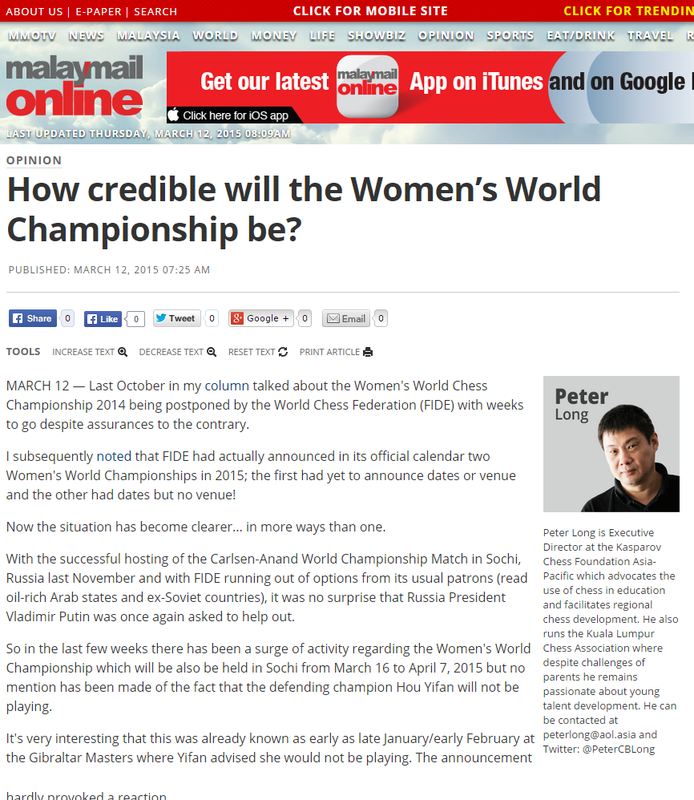 Malay Mail Online: How Credible Will The Women's World Championship Be? 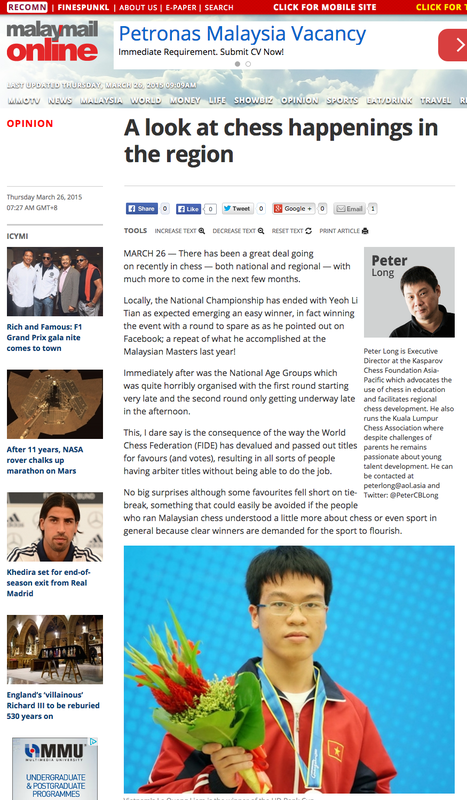 Is Malaysia Participating in the Zonal Championships? 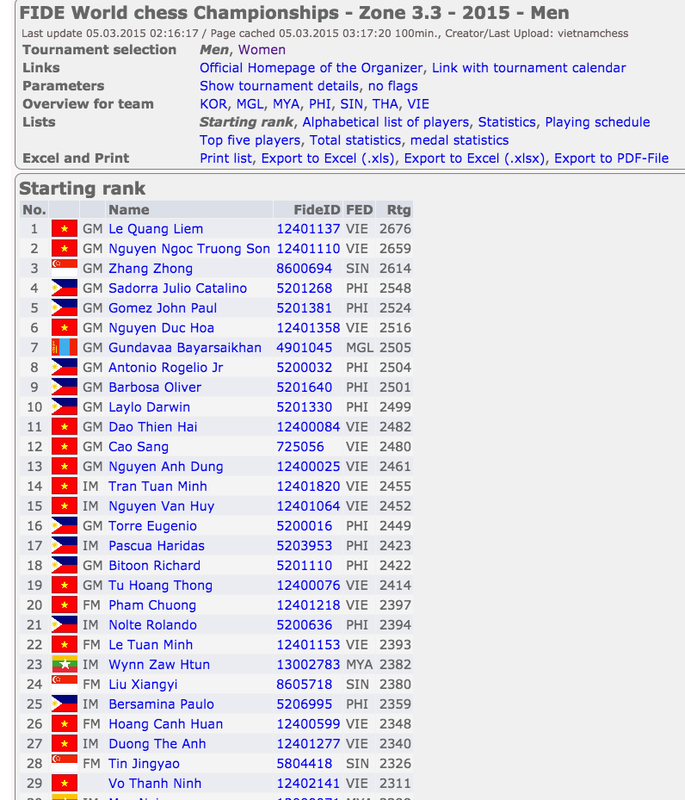 It starts 7 March 2015 and ends 15 March 2015 in Ho Chi Minh City, Vietnam. Surely we have representatives? I have heard nothing officially but I suppose since involves the national team MCF has contacted all these eligible players - perhaps their so called "National Squad" which to me looks like just a list of names... or not? If not, what is MCF's rationale? No money to be made to facilitate or perhaps a consistent action in line with our descent into ever increasing mediocrity? 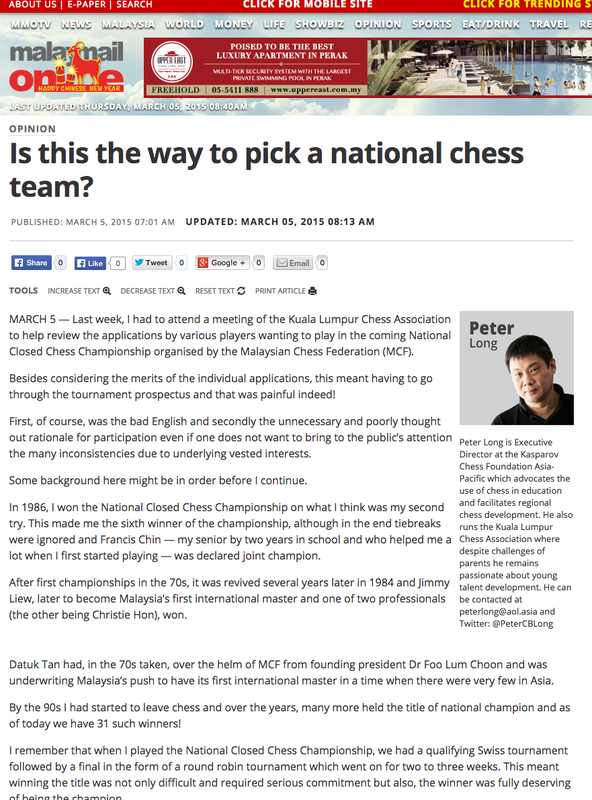 Malay Mail Online: Is This The Way To Pick A National Team?